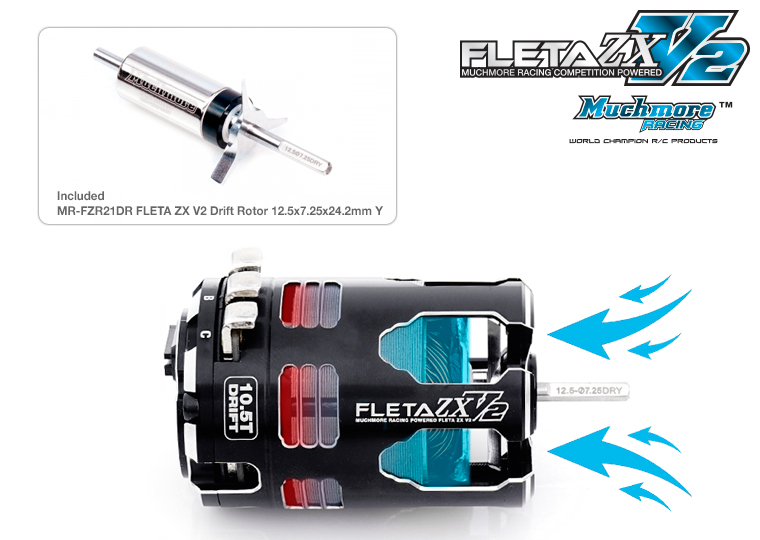 MR-V2ZX105D FLETA ZX V2 10.5T DRIFT Brushless Motor FLETA ZX V2 10.5T ドリフト ブラシレスモーター-Muchmore Racing. Co., Ltd.
Also, includes specially designed drift dedicated rotors to create more realistic sound effects. 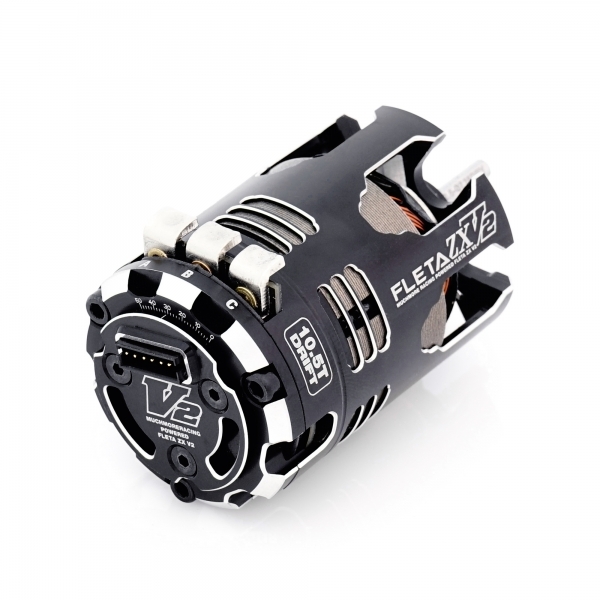 which is the great achievement in terms of keeping the motor performance as high as possible. 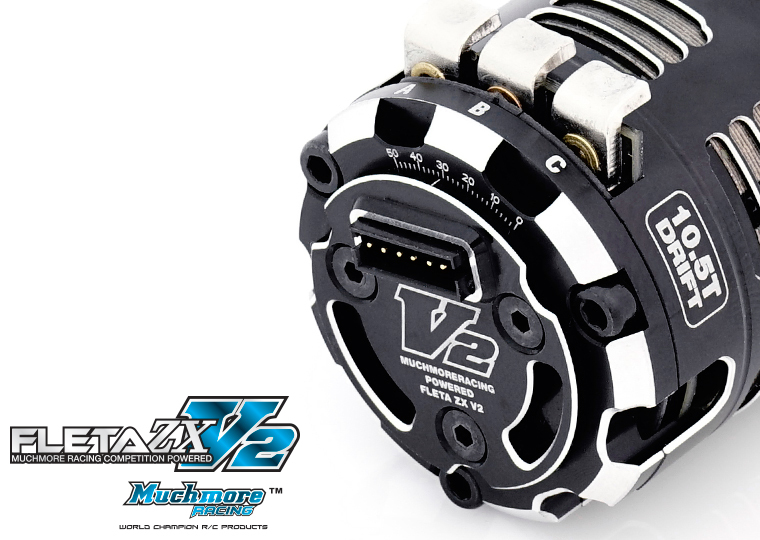 This motor fits perfectly for 2S Powered Drift cars. 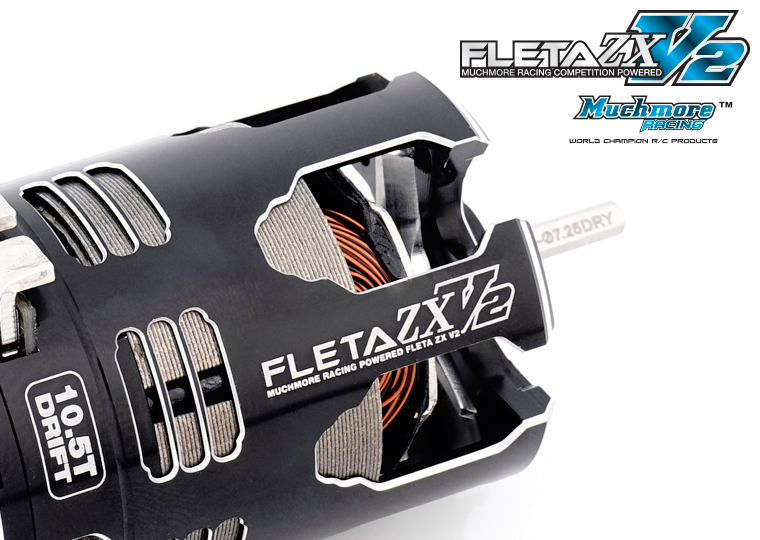 All new stator design offers smooth acceleration.